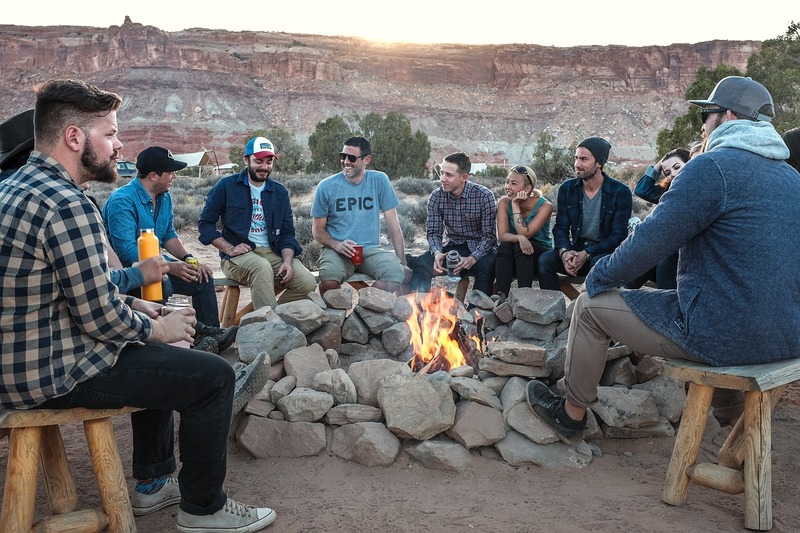 Whether you’re heading out for a solo adventure, a trek with friends, or a memory-making excursion with the family, camping is an exciting hobby that allows you to explore and enjoy the great outdoors. If you’re new to camping, you may find that you need a bit of assistance when it comes to stocking up on the best camping gear for your trip. While this certainly isn’t an exhaustive list of all the available best camping gear and supplies you can find on the market, it’s a great starting place for gathering the basics to make your camping trip truly enjoyable. Read on for our top recommendations of best camping gear as you head out on that first adventure. I’m a camping newbie. How much gear do I really need for my trip? Where is the best place to buy camping equipment? How much will a camping hobby cost me? I’m planning my first camping trip. Where should I go? Equipment that doesn’t perform or meet expectations could quickly turn your first camping trip into a less than enjoyable experience. Having the right gear for the climate and conditions means you'll stay safer and be more comfortable. That’s why we’ve spent several hours diving deep into the world of camping gear to pinpoint the best items that have been tested by both experts and fellow campers alike. We’ve sifted through innumerable user reviews so that we can pass on what the everyday camper loved and loathed about each purchase. One of your basic camping needs will be the shelter to protect you from the elements while you live under the sun and stars. 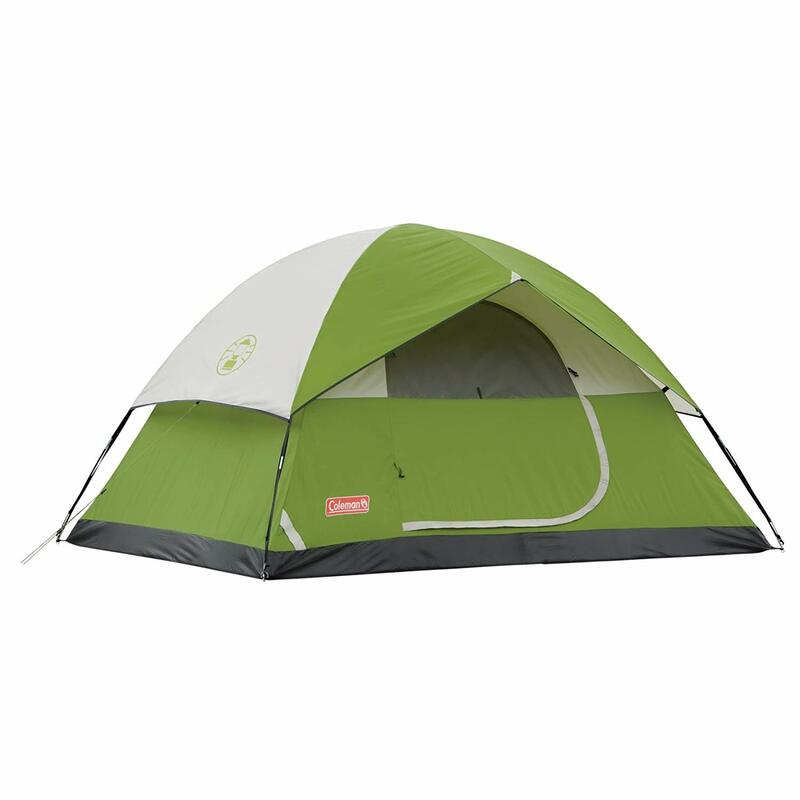 Manufactured by a well-known outdoor goods brand that you likely recognize, this four-person model is a great deal for new camping enthusiasts. 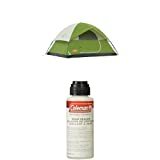 Coleman manufactures some of the best camping gear for both experienced and novice outdoor enthusiasts. Coleman boasts that you can assemble their Sundome in as little as 10 minutes. This is likely how long it takes two adults to construct the tent, as some owners of the structure report they were able to set it up on their own with little trouble in roughly 15 minutes. Also, the tent is built with Coleman’s WeatherTek system, which means the floors have a patented welded construction made of a durable, tarp-like material that keeps water from seeping in. In fact, most users of this tent say they’ve had little issue with water finding its way inside. However, the biggest downside to this choice is that even though it’s listed as a four-person tent, you would struggle with actually fitting four people inside to sleep. In all reality, it's better suited for two campers, and it will comfortably hold a queen-sized air mattress and some of your needed gear. And if you need space for four sleepers, you may want to consider a model sized for six campers. You’ll find that a slew of choices abound when it comes time to choose the sleeping bag you’ll snuggle up in after the sun sets. There are a few things we love about this option from Wenzel. The bag is built to perform with a temperature rating of 25 degrees Fahrenheit, meaning it keeps you toasty if the temperature begins to drop. 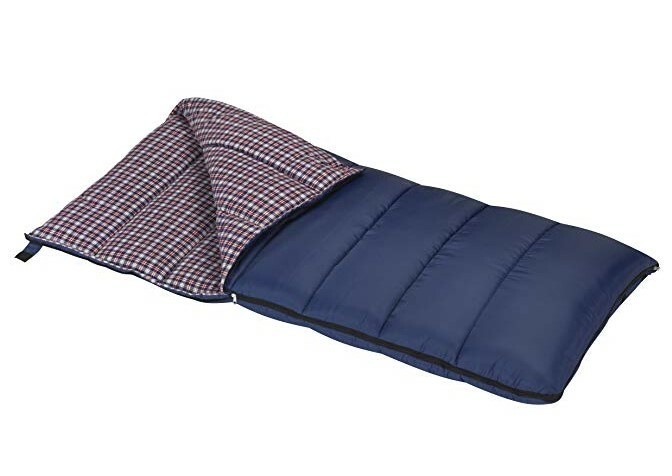 Another plus is that it can be fully unzipped and used as a regular blanket on nights when the temperatures remain warm. Moreover, you'll find a cozy interior crafted of a soft flannel fabric that owners note as being pleasant to the touch. For new campers starting out in a range of weather conditions, the Wenzel sleeping bag falls in the best camping gear to start out with. Accordingly, if your idea of the perfect camping trip entails being snuggled up with that special someone, check out double sleeping bags. Here is an option from Sleepingo. Perhaps you find comfort in having as little between you and earth when you're spending time in nature. Many people find it grounding and emotionally satisfying to connect closely to the ground. But for the rest of us, a little bit of support and padding makes the difference between getting a full night’s rest and waking up with aches everywhere. That’s where an air mattress or sleeping pad comes into play. We recommend opting for a sleeping pad over an air mattress, mostly because many air mattresses require you to also bring along an air pump. And that's just one more piece of gear to acquire and carry with you. And best of all, this model from GreenTEC is self-inflating, so no pump or incredibly strong lungs are required. Many of the best camping gear items you'll want to own include built-in pumps. So, keep that in mind when shopping for your equipment. Moreover, campers who have used the pad say it’s comfortable to sleep on and provides just the right amount of padding. The biggest complaint is that it doesn’t actually seem to completely inflate on its own. However, with just a few small puffs, you can easily fill it to capacity without becoming winded. If you don’t already have one of these kits in your arsenal, you should get one regardless if it’s meant for camping adventures or not. 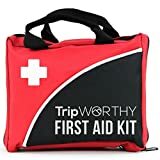 Perfect while you’re out in the wild, or also just for storing in your car, a first aid kit is a necessity for being prepared for any minor emergencies or injuries. The best camping gear you can add to your shopping cart are the items that ensure your safety. 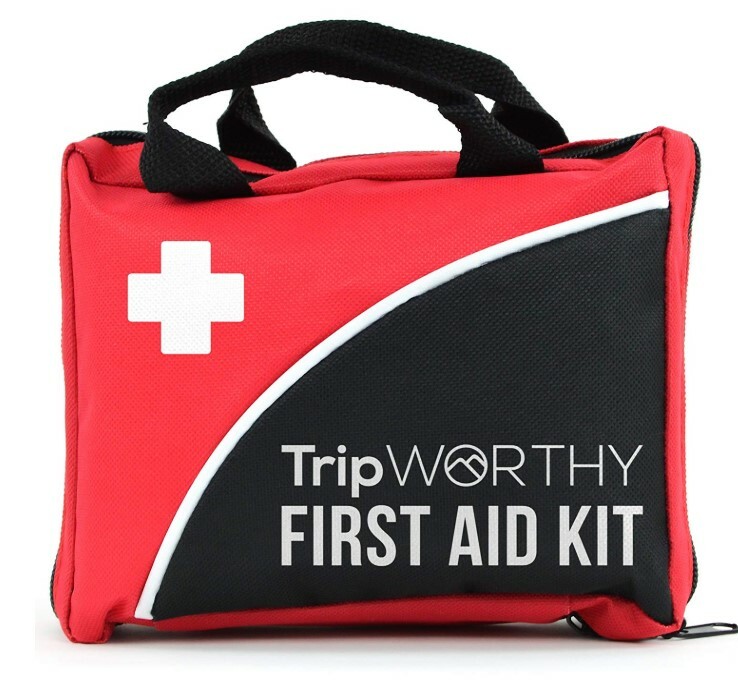 Accordingly, TripWorthy’s kit packs bandages, ointments, wipes, and other small must-haves that you may not think of on your own. Depending on how many days and nights you’ll be camping out, you may want to do some cooking at your site. A portable camp stove is perfect for creating both simple and more complex camp meals. 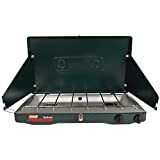 This classic option from Coleman has long been a go-to piece of cooking gear for many campers. 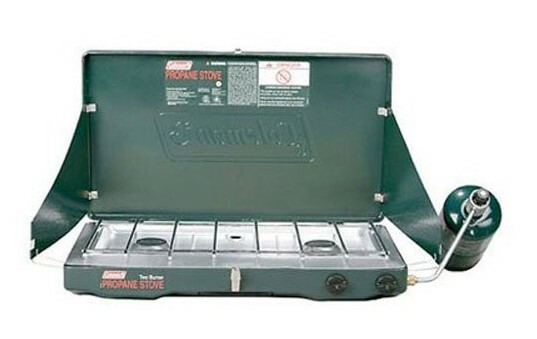 The stove is fueled by propane cylinders, which are purchased separately, and allow for cooking at the same time with both a 10-inch and 12-inch pan. Moreover, the two burners can be adjusted independently. So that you can cook two different items at varying temperatures. The cooking grate is removable for quick and easy cleanup. And the best camping gear isn't always limited to your trips to the outdoors. The Coleman stove is also handy for power outages and cookouts at home. If, like us, you need your daily caffeine fix to get you up and moving in the morning, then coffee after a night in nature will be a must. This percolator model from Stansport allows you to brew nine cups of your favorite grind over the burner on your camp stove, or even on your open campfire. 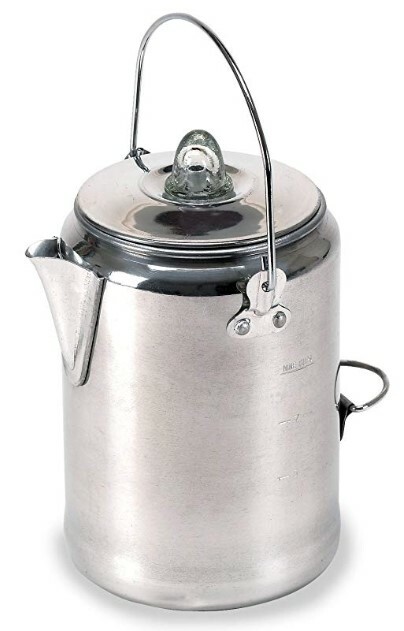 Additionally, several users of the pot have even mentioned that they love the taste and experience of using it so much that they often turn to it for great coffee back home in their kitchens. However, there is a learning curve when it comes to using a percolator. So it may be a good idea to give it a try or two at home before relying on it once you’re already out on your trip. And like the Coleman stove, this percolator will serve you well at home when you lose power and still need your caffeine fix. What’s a campfire without perfectly and deliciously roasted marshmallows and wiener dogs? 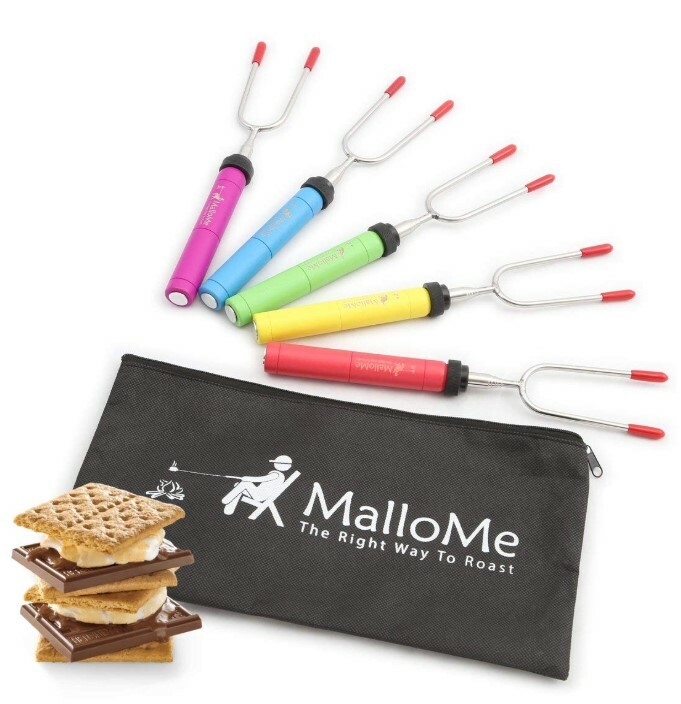 If you’re going to invest in roasting sticks to help you achieve that perfect s’more or campfire hot dog, then choosing ones that are both safe and easily storable is key. This set of five from MalloMe doesn’t disappoint when it comes to both of those concerns. Additionally, they collapse and even come with a small bag for storage when they’re not in use. 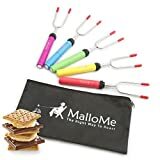 Moreover, they extend to a 34-inch length to ensure that both adults and children remain a safe distance from the fire while they cook their treats. Because, as we've said before, the most critical and best camping gear is the gear that ensures you return home unscathed. Also, each of the sticks has a different colored handle so that everyone in your group can easily keep track of their own. The main downside to the product is that they aren’t dishwasher safe. 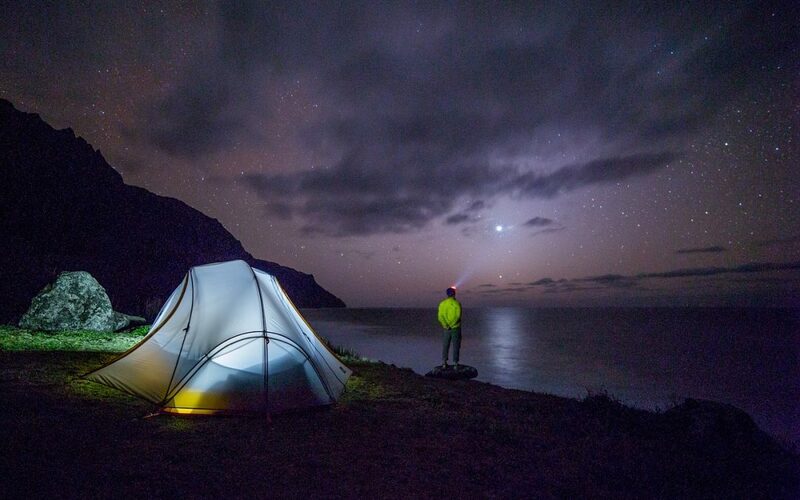 Bringing along a reliable light source for your camping trip will prove imperative once the sun goes down. Lanterns are a great choice. They can be used while your friends and family are gathered around the fire or a table for games. Also, they can accompany you on a night walk or sunset hike and can light up your tent before bedtime. 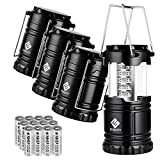 Furthermore, these lights are a smaller size and very lightweight, but they’re also collapsible, making them incredibly portable and easily storable. Additionally, the lanterns are powered by 30 individual LED lights. This creates light that is long-lasting and impressively bright. 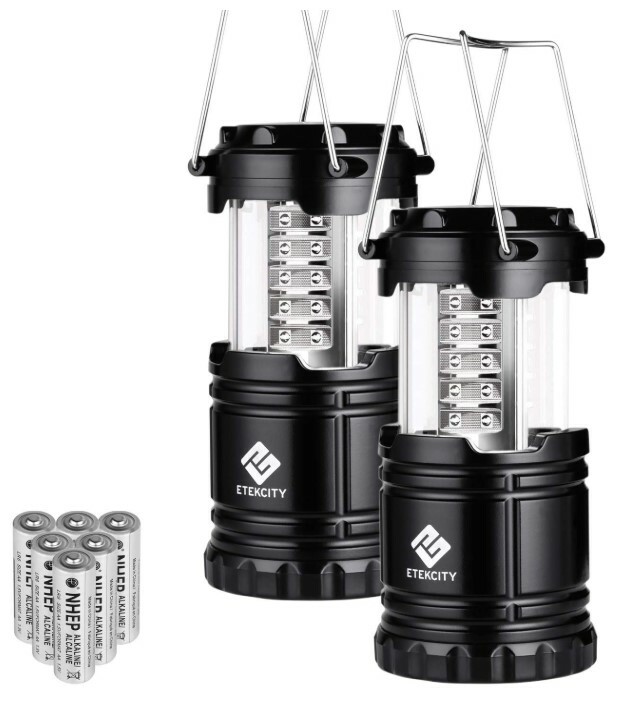 While flashlights are useful for navigating darkened paths, camping lanterns provide light for reading, cooking, and other tasks around the campsite. Trying to hold a flashlight to illuminate your food prep area can be tedious, if not impossible. The best camping gear serves several functions for efficiency. Moreover, with their price and utility, it’s almost difficult to find a complaint with these. However, their largest negative is they aren’t waterproof, so keeping them out of the rain or streams as much as possible is important. If you’re relatively new to camping, or even if it’s been years since your last trip, you likely have some questions. Read on to find our answers to some of the most commonly asked questions below. We love camping, and we definitely love collecting and trying out all of the best camping gear that goes along with it. It’s easy to get carried away when prepping for a trip, but rest assured that it isn’t necessary to have every last piece of gear for your initial excursions. We recommend focusing first on taking care of basic needs as you start out as a camper. Think about things like shelter, warmth, food, safety, and after-dark lighting. If your budget is on the low end, or you won’t use it frequently, borrowing any equipment that you can from a friend or family member is also a great option. Nearly anything can be found on Amazon, and we include links to their site for all of our top recommended items. Other great choices to find the best camping gear include both local and big-box hunting, camping, and recreational stores. These are particularly great options if you want to see and touch the items before committing to a purchase. If you’re purchasing for multiple family members, that price would increase. You can truly make this hobby as expensive or inexpensive as you’d like. Borrowing gear from others and utilizing items that you already have at home can save you some money. But remember, when you buy the best camping gear, you'll get multiple uses out of it. With good care, your gear will last many years, even decades. You have so many options for great camping locations. You can check out campgrounds both near to and far away from your home. Most National Parks and State Parks offer camping. Best of all, these parks are set up with your safety and comfort in mind. Most offer access to restrooms and showers, and many have both water and electrical service at their campsites. And their camping fees are generally very reasonable. But don't think you're limited to "official" campgrounds. After all, you can even have a convenient camp out in your own backyard. In fact, that may be the first step before heading out into the woods. Especially if you have young children that may be easily frightened or overwhelmed sleeping in an unfamiliar location. Just like with most any endeavor, you can spend as much or as little as you’d like to procure camping gear. All of our top recommended best camping gear is not only highly-rated by many fellow campers, but each piece has a reasonable price that offers good value for your money. So, the items on this list range in price from around $12 to about $50. Finally, as you get started with building your own stash of camp supplies, don’t forget to check our list. While you plan, just remember to keep the most important necessities in mind: shelter, warmth, food, lighting, and safety. 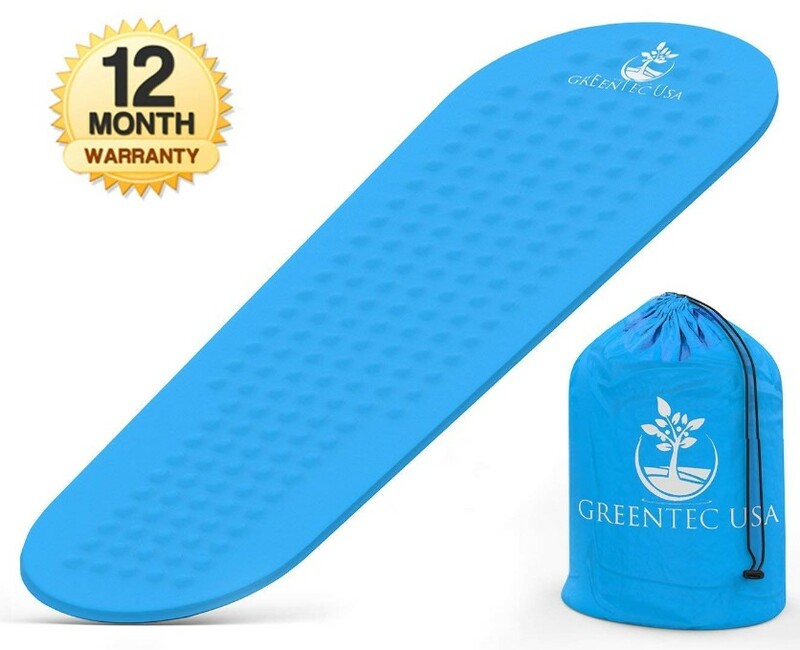 The best camping gear is also flexible and offers several functions in one device. Even just meeting your basic needs in these categories ensures your experience will be an enjoyable and memory-filled camping adventure. After reading the best camping gear you can get on our list, go ahead and choose what works for you and your budget.